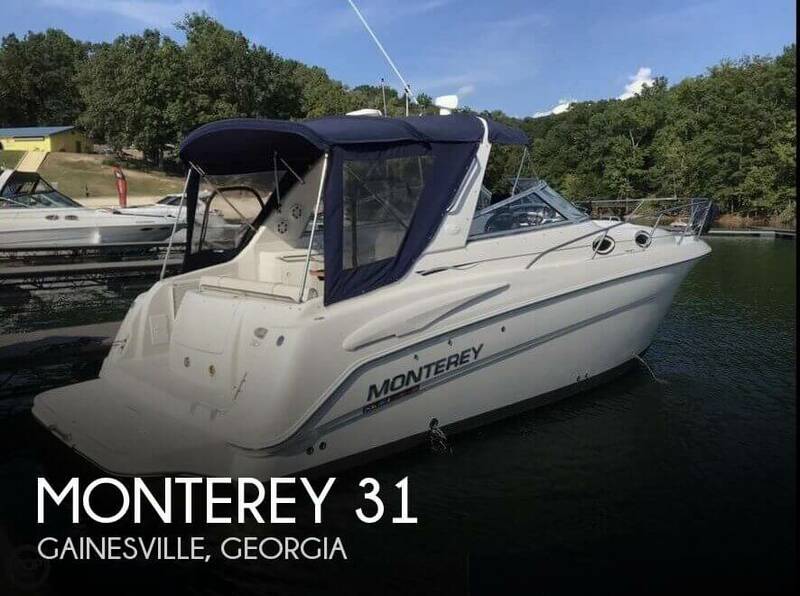 2001 Monterey 282 CR *** W/TWIN MERC 5.0 BIII/AC-HT/WL/BIMINI-ENCLOSURE/GPS/ **** The Monterey 282 CR is an excellent example of a wide beam cruiser for overnighting, weekending or just cruising!. 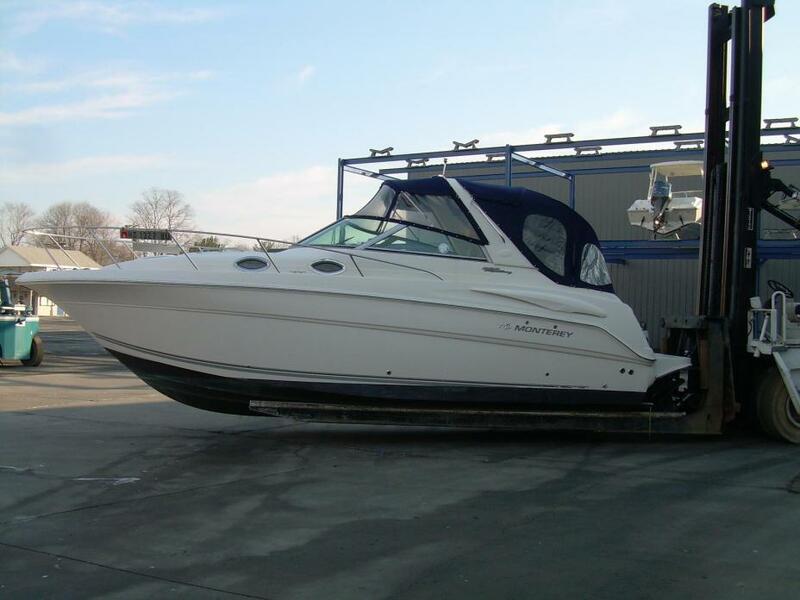 This boat offers you all the dockside and shore power amenities you will need for an extended stay out on the water.It's Euro styling and sleek looks provide the perfect backdrop for whats inside.The boat is powered by the twin 5.0 Mercruisers with the Bravo III outdrives. 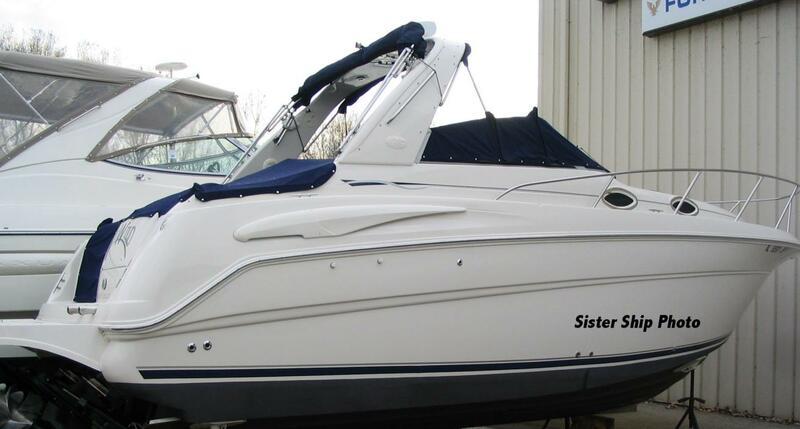 It features a radar arch with a neatly fitted canvas packge surrounding it which includes a bimini top, windshield visor , side curtains and a slant back cover.This boat is in very nice condition inside and out and has been well maintained. The cockpit has plenty of seating and storage and is equipped with a cocktail table and snap in cockpit carpeting.. The helm station is well laid out with a double wide helm set and an easy to see gauge cluster to monitor your engine and navigation functions. 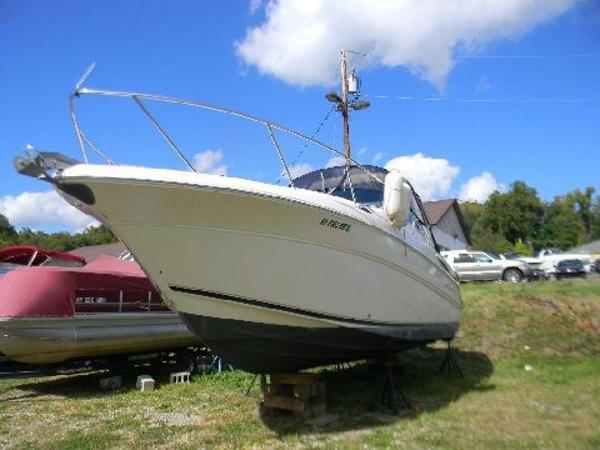 It includes, trim tabs, anchor windlass, compass, in dash depth finder, GPS, VHF radio and an AM/FM CD Stereo. Below deck , the cabin will sleep 5-6 people comfortably with two foward, two in the aft cabin and 1-2 at the dinette area which converts to a sleeping berth. It has all the features you would expect like, sink with hot and cold water, stove, fridge and a microwave oven.This boat is also equipped with A/C-Heat. The head is fully enclosed with a hot and cold shower and a marine toilet. 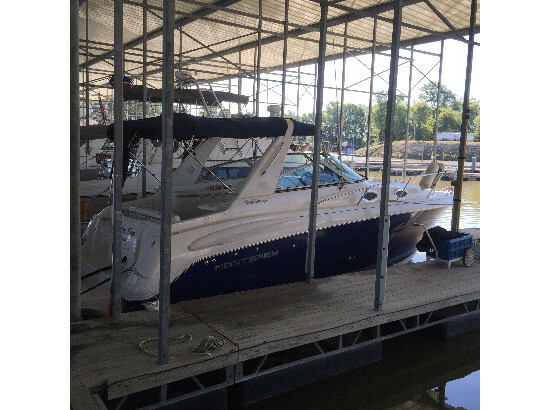 At the stern there is an extended swim platform which includes a boarding ladder and a transom shower.This boat is on display at our location now! Call to find out more or stop by to see her today! 2005 Monterey 282CR, 2005 Monterey 282 CR. twin Volvo 4.3 GXI's/Duoprop. Full Canvas. Cockpit Cover. Cockpit Carpet. Air. Generator. Vacuflush Head. Satellite TV System. 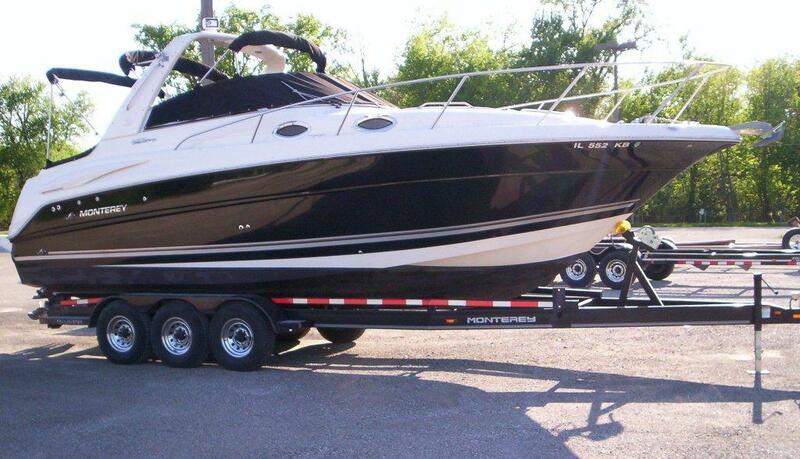 2005 Monterey Cruisers 282 CR, PRICE REDUCED!!! 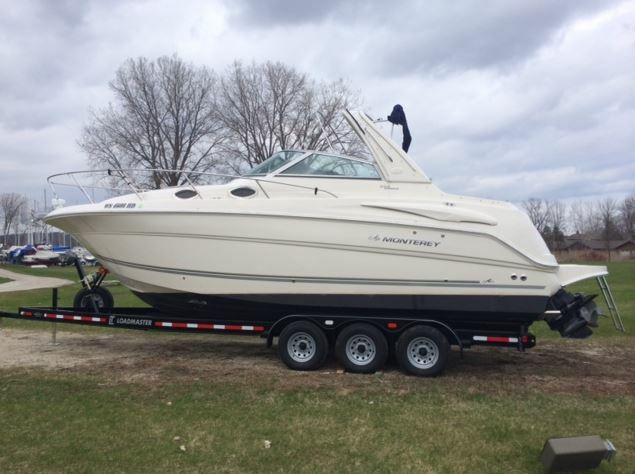 Monterey 282CR with Twin Mercruiser 5.0L MPI Bravo 3's, in excellent condition, Custom tri axle trailer included.